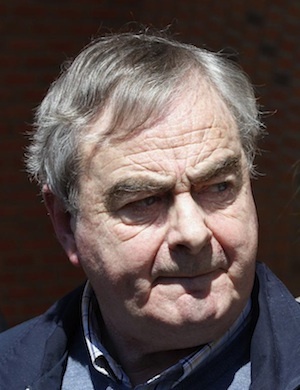 Journalist Ed Moloney has been busy convincing everyone he is the victim in the Boston College tapes fiasco. The reality is different. Put frankly, if he hadn’t decided to make some money for himself from his book on the tapes, Voices from the Grave, none of the issues that have now arisen around the tapes would have happened. The tapes by now would have quietly become the preserve of academics and historians. Moloney’s intent was clear from the beginning. He hired anti-Gerry Adams researcher and dissident spokesman Anthony McIntyre and only interviewedIRA figures who hated Adams for various reasons -- hardly the mark of a dispassionate researcher/historian. I have long maintained that Moloney was out to get Adams when he decided to do the tapes, and persuaded Boston College to underwrite the project and give it academic recognition – something the college now deeply regrets. Moloney has denied all of this, but in a recent reply to a Unionist writer, Water Ellis, on his own blog site, he seems to admit it. Here is the exchange in which Ellis congratulated Moloney for getting an extension from the Supreme Court on the tapes issue. It is an interesting exchange, revealing as Belfast Republican writer Danny Morrison says, Moloney’s true mindset on this issue. It has been a “Get Adams” undertaking all the time. I have to agree with Morrison. Irish America has been taken for a ride by an individual whose main objective is to destroy Adams. "Outing liars" by his very own words, meaning Adams, was Moloney’s main intent all along. He hid it well under a cloak of academic respectability unwittingly given to him by Boston College.